If you checked out part one of our slow cooker recipe roundup then we're sure you found some great recipes to add to your slow cooker repertoire. If you missed it be sure to check it out. But in the meantime here are 13 more slow cooker recipes for you to try - get dinner on the table without all the fuss with these great low maintenance recipe ideas! See a recipe you like? Just click on it to get the full recipe! 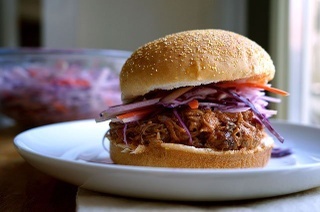 Ease the after work and after school rush with these easy slow cooker recipes!